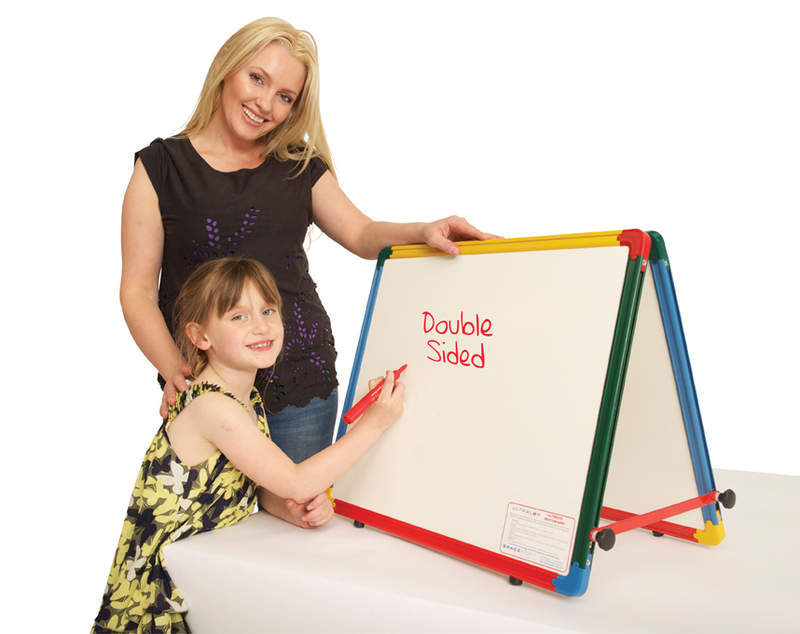 Desktop easel with 2 whiteboards, each one is 600mm wide and 450mm high. With a choice of magnetic or non-magnetic surface this table top whiteboard has a multicoloured frame with rounded safety corners. For safety it also has an anti-slip safety catch and plastic bumpers to prevent accidental slipping so it is ideal to use in playschools, nurseries and schools.